Tactical Intervention Specialists is dedicated to providing excellent rifle slings and products for Precision Long Range Shooters. We offer only the best products available for the Shooting Professional. 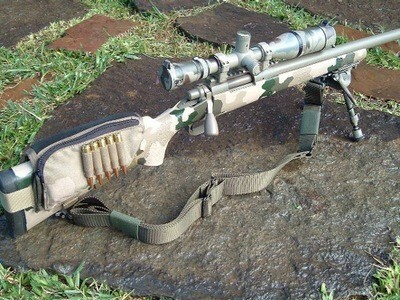 Tactical Intervention is devoted to making the life of precision shooters a little bit easier. We hope to offer those who shoot long range precision rifle a suite of unique and helpful products and services that will enhance both your skill and your confidence. We will accomplish this by bringing you only very high quality products and services of our own design and manufacture which have been field-proven and are truly efficacious. We are not armchair-theoreticians. The individuals who comprise Tactical Intervention Specialists are all deeply involved in the shooting sports and are experts in their fields. Our target audience is both professional shooters such as SWAT and Military snipers as well as civilians who take precision shooting seriously be they hunters, varmiters, or benchrest shooters. "As a professional military sniper and sniper trainer I see many products intended for the tactical precision community being offered/sold/used (and many times thrown away). Few if any are as useful as the Tactical Intervention slings. They allow competition accuracy in field conditions by allowing the sniper/precision rifleman to take up a sling supported position in a matter of seconds regardless of position or location. 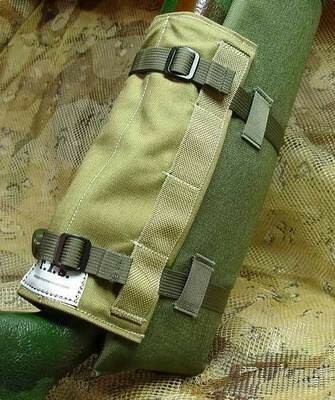 Traditional slings are intended merely to carry a rifle, TIS slings have taken this simplistic use and turned it into a shooting asset making the sling a dual function piece of kit. The versatility of this simple device is without equal and in an arena were peoples lives depend on the shooter's ability to deliver accurate rifle fire. I have absolutely no reservations what so ever about recommending this product to any professionals in the military or law enforcement community."